Let’s Read is an exciting initiative to promote reading with young children from birth to five years. Let’s Read aims to give children the skills they will need to learn to read when they start school. The Wimmera Southern Mallee LLEN has worked with partners to establish the Let’s Read program across all four shires in the Wimmera and Southern Mallee. Maternal and Child Health Nurses across the region are on the front line in delivering the Let’s Read program. The program offers support and resources to parents when they attend their local Infant Welfare Centre. 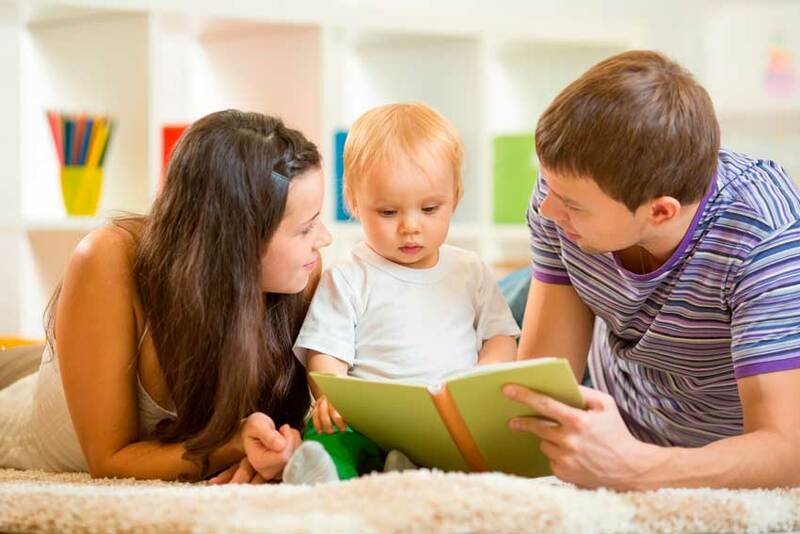 Parents are reminded of the importance of reading with children from the earliest possible age and children receive a book and resources when they visit their Maternal and Child Health Nurse at 3 months, 12 months, 18 months and 3.5 years. Pop-up libraries are an exciting new initiative of the Let’s Read partnerships. Books are labelled with Let’s Read stickers and put into Let’s Read plastic tubs. The Pop-up libraries are situated in doctor’s waiting rooms, playgroups, MCHN centres, Centrelink, Salvation Army, chemists, shops and other locations that families visit. Families can borrow a book and keep it for as long as they like. The Let’s Read programs are a whole-of-community approach to improve literacy across the region. Schools, kindergartens, infant welfare centres, shire councils, libraries, health services, sponsors and the Wimmera Southern Mallee LLEN have formed partnerships to establish a sustainable model to ensure that the Let’s Read program continues to support families with young children into the future. This project is making a real difference in the lives of families and their children. Supporting the development of children’s literacy is a lifelong gift and gives the children a chance to realise their full potential. Find out more about the Let’s Read Program from the Let’s Read Website.